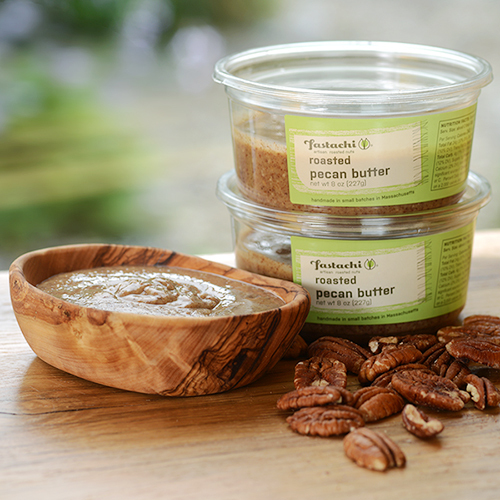 Our Mixed Nut Butter is exactly that - a mixture of all the different nuts used to make each individual nut butter. Every bite is a new adventure. 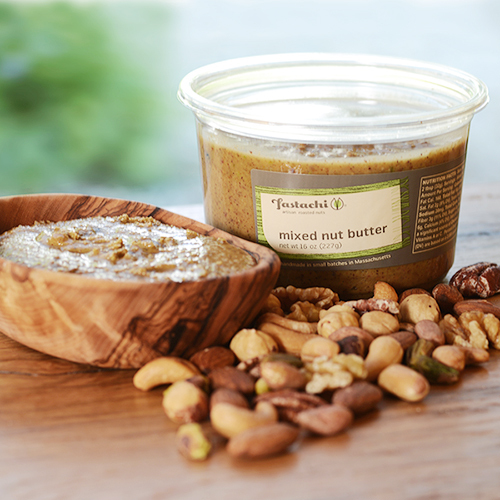 Our Mixed Nut Butter is exactly that - a mixture of all the different nuts used to make each individual nut butter; roasted hazelnuts, salted pecans, roasted almonds, roasted pistachios, roasted peanuts, roasted cashews, and raw walnuts - Nothing else added. The freshness is incomparable; the nuts are roasted within 1-2 days of grinding them into nut butter, and are ground into butter shortly before shipping. 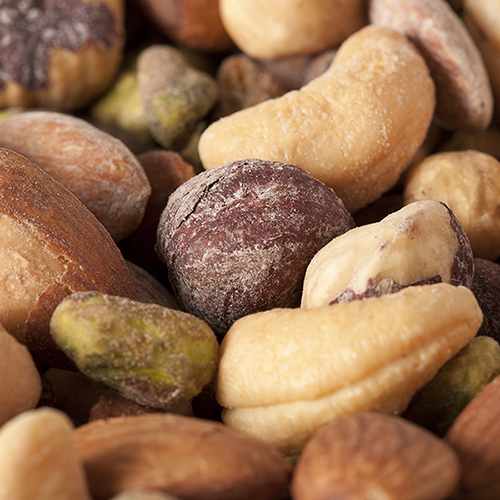 The crunchiness of the bits of nuts left behind after grinding makes each bite a new adventure. **please note that the flavor will vary slightly with every batch, and every mouthful. Nut Butter Tips: Stir before use, as the natural oils will separate from the nut butter. 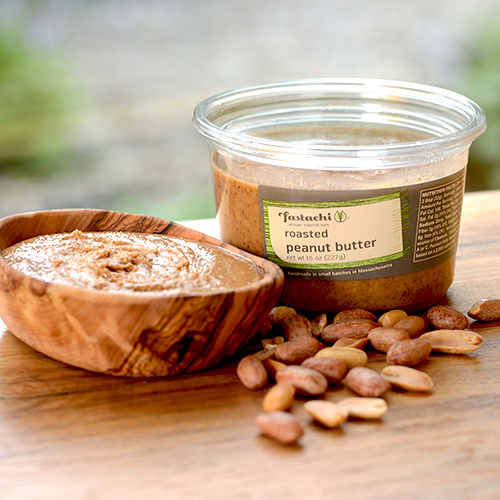 Nut butters do not need to be refrigerated and will not spoil. 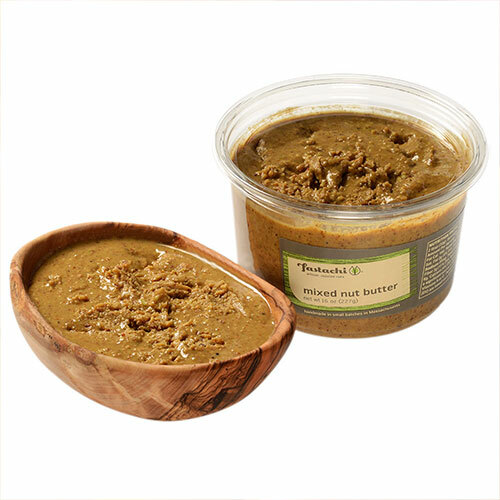 Store opened nut butter in a cool, dry place (kitchen cupboard) and use within three months. However, if you prefer, you may refrigerate. Butters are packaged in clear #1 PET containers that are BPA free, safe, strong and 100% recyclable. NUTRITION FACTS: Serv. Size: About 2 tbsp (32g). Servings: About 14. Amount Per Serving: Calories 210, Fat Cal. 160, Total Fat 18g (28% DV), Sat. Fat 2g (9% DV), Trans Fat 0g, Sodium 20mg, Total Carb. 7g (2% DV), Fiber 3g (11% DV), Sugars 2g, Protein 6g, Calcium (4% DV), Iron (6% DV). Not a significant source of Cholest., Vitamin A, Vitamin C. Percent Daily Values (DV) are based on a 2,000 calorie diet. INGREDIENTS: ROASTED HAZELNUTS, SALTED PECANS (PECANS, SEA SALT), ROASTED ALMONDS, ROASTED PISTACHIOS, ROASTED PEANUTS, ROASTED CASHEWS (CASHEWS ROASTED WITH PEANUT OIL), RAW WALNUTS. ***May contain traces of sea salt. Great tasting nut butter. Love how it is not half oil like most nutbutters- it is spreadable, but extra yummy. Awesome taste. Excellent Value.